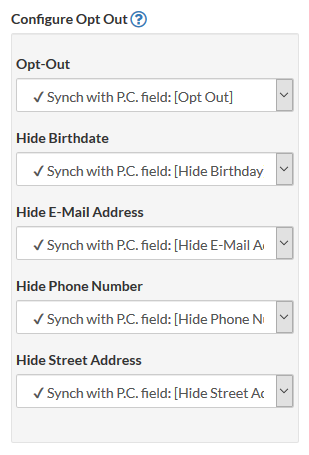 Before beginning, you need to create a custom field in People to store the opt-out flags. Note that this field must be of the Yes/No variety. You may already have this field created and populated from your former directory (if it isn’t yes/no, you will need to export it and then import it into a yes/no field using the people importer). Did we mention that it has to be a Yes/No field? This is important. 0. 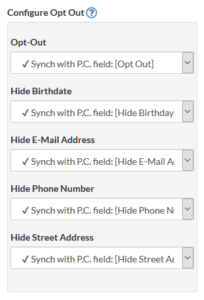 Create your Opt-Out custom field. Here you will see a list of all of your Yes/No fields from Planning Center People. If you just created a field, it won’t be in the list. You need to “Synchronize Now” so Adjace can know about it. After your synchronization is complete and Adjace knows about your field, you will see it in the list. Select your Opt-Out field. After you’ve selected your field, run another synchronization (you might have to wait 15 minutes from the end of your last synchronization), and voila! If you have your opt-out field in Planning Center People populated, your opt-out values are now in Adjace and opted-out profiles are hidden from your Directory! 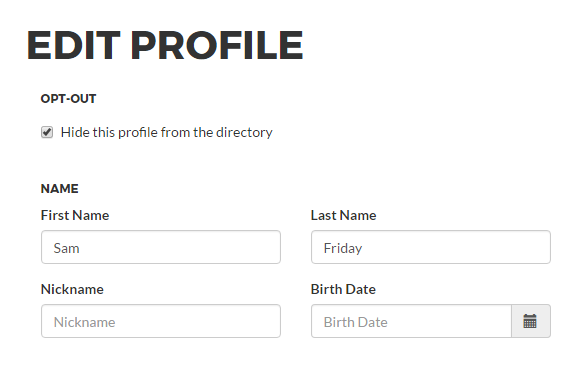 If you have Profile Edits enabled in Adjace, your people now can go to their Profile pages and change their own opt-out preferences. 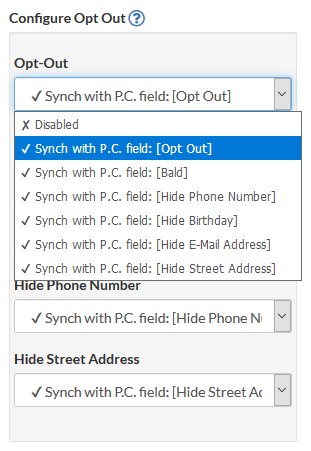 Note that opt-out preferences must be synchronized up to Planning Center People before they take effect in Adjace. 4. Allow your folks to opt-out or not to opt-out; that is the question.